Where exactly is the Khalifa City a area? To answer this question, let’s start by introducing the mother city which is Khalifa City. Khalifa City is a new suburb of the emirate of Abu Dhabi. This suburb is divided into 3 different areas: Khalifa City a, Khalifa City b, and New Khalifa City. To be exact, Khalifa City a is on the main highway to Dubai. It is located 30 kilometers away from Abu Dhabi. But what is so special about this location? It is 10 minutes away from Abu Dhabi International Airport, 15 minutes away from Abu Dhabi city center, and only 50 minutes away from the hub that is Dubai. With that location and some other reasons, Villas for rent in Khalifa City a are a popular option for renters nowadays. Now let’s find out about those reasons. Khalifa City with all its three areas, all have one thing in common which is luxury. Nothing screams luxury more than a villa. The Khalifa City suburb is filled with both villas and villa compounds, primarily stand-alone villas. 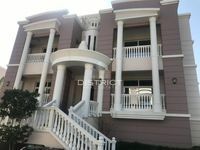 More than 2000 of these villas are now located in Khalifa City A. Why rent in Khalifa City a? In addition to them being well sought, well structured, and beautifully designed, the villas for rent in Khalifa City a are known for their modest rentals; A villa for rent in Khalifa City a provides a good value for money compared to a villa for rent in the city center. In addition to its affordability, with your villa for rent in Khalifa City A, you also get the added value of a beautiful, friendly, and peaceful neighborhood. Local or an expat, you can have your own villa for rent in Khalifa City a and enjoy one of the most popular choices among renters. 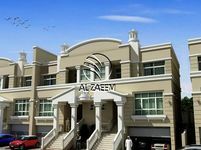 What is really special about Villas for rent in Khalifa City a is that no matter how big or small your family is, you will find exactly what you are looking for. Be it a 1 bedroom villa, a 10 bedroom villa, or anything in between. Yes, they go up to 10 bedrooms. If your family has a pet, it can come too; Khalifa City a is a pet-friendly area. 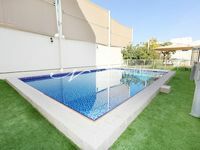 The good news is, most of the villas for rent in Khalifa City come with swimming pools and gardens. Your family will love this. The suburb has some good amenities as well. Some of the amenities that come with your villas for rent in Khalifa City a include parks, gyms, health care services, sports facilities, restaurants, coffee shops, a mall, a hotel, schools, and nurseries. Low rentals, family friendliness, pet friendliness, and great amenities, doesn’t getting a villa for rent in Khalifa City sound like a good deal? Start looking for your perfect villa now on Just property’s website. It doesn’t matter what our needs are, you will find your villa here.